Situated just 500 metres from the beach in the vibrant Barceloneta neighbourhood, this modern attic suite offers a private terrace and air conditioning. 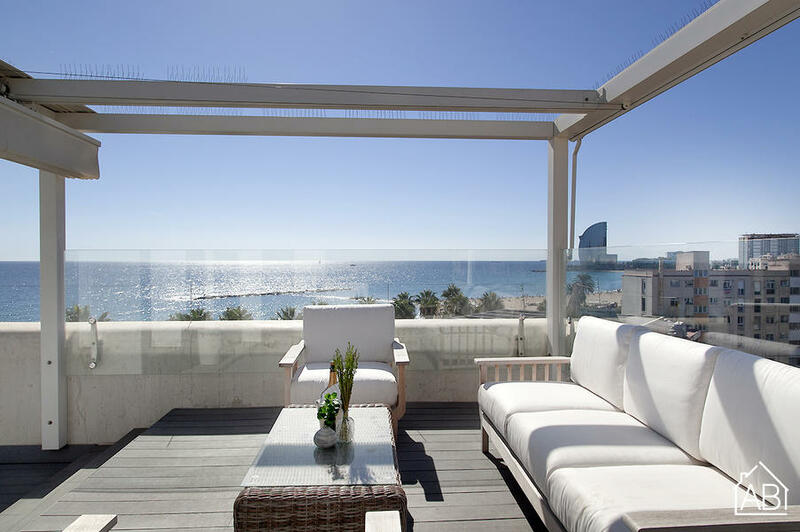 It is located just 800 metres from Barceloneta metro station. The apartment sleeps up to 2 people across one bedroom with a double bed. The apartment has a beautiful living area with a sofa, flat screen TV and a homely kitchen and dining area complete with modern fixtures and a dining table. There is one bathroom with modern fixtures, complete with a corner-bath and a shower head.